You must make reservations at least 5 minutes in advance of the time at 315 Restaurant & Wine Bar. 315 Restaurant and Wine Bar has ample, convenient parking (a luxury in downtown Santa Fe) located directly across the street from the restaurant in the State Land Office. The parking lot is open from 5:00 until closing and parking is free! Chef-owned and operated for more than two decades, 315 is dedicated to serving both modern and contemporary French cuisine inspired by seasonal local ingredients. With a grassroots initiative, almost every dish is prepared from scratch using exceptional care in the procurement of every ingredient. In this way, we pay respect to the community by finding new ways to support Santa Fe’s unique culture of food and art. French food is much more than the classic dishes we all have learned to know and love. It is a philosophy within its composition and a discipline in its technique. Using carefully selected ingredients, we look for ways to enhance a dish rather than overwhelm it. This is where the dance begins between the food and the wine. Wonderful food! The steak and chicken dishes were fantastic! The salad was large and very fresh- the steak on the bar menu is a steal at $10! 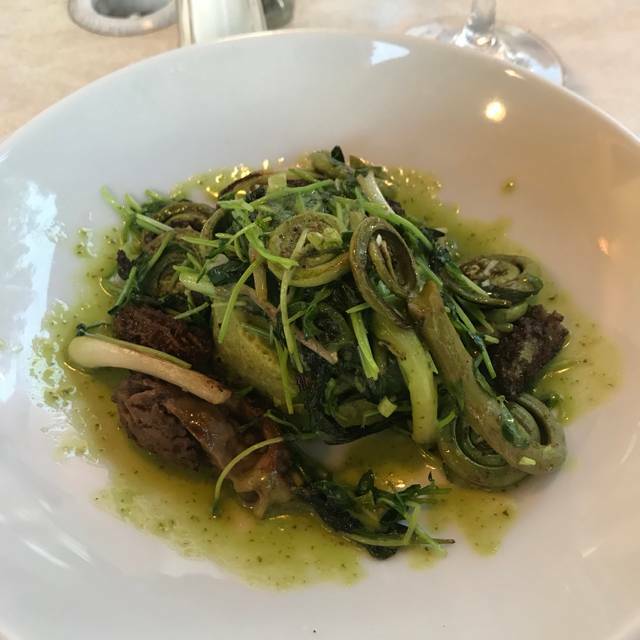 Chef Louis Moskow is so talented and, if you’re in town for the special prix fixe seasonal or wine dinners, don’t miss his brilliant and affordable creations! I was thrilled with the fresh Alaskan Halibut special Spring menu. Essentially 4 courses for $40. Outstanding! The best wine list and a full bar including an excellent Whiskey collection. The staff are professional, yet relaxed, and take the time to chat with you, even when you can see they are very busy. The atmosphere is perfect. You are transported to a relaxed fine bistro in France. That’s the sign of a wonderful dining experience. We had a great time over there. We were 6, 3 generations and we all enjoyed it immensely from the prix fixe menu to the choucroute and macaroni and cheese. The prix fixe was phenomenal and a great value for $40.00. Thanks again for a great waiter. one of the best in Santa Fe. The thing that makes it great is the consistency. Both in food and staff. This was my first visit to 315 and I was very favorably impressed. We arrived just as they opened at 5 and needed to leave by 6:10; our waiter was very accommodating, pleasant, friendly and efficient. 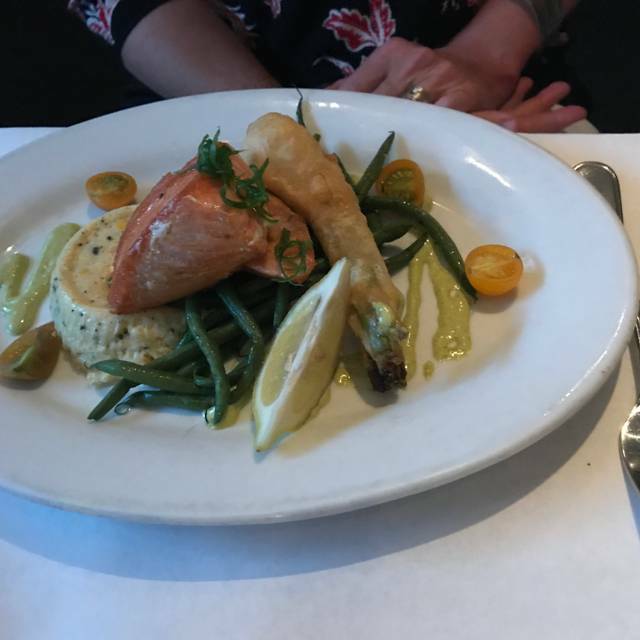 I ordered a Caesar salad that was below average and fresh wild Salmon with a potato horseradish crust that was absolutely delicious. We didn't have time to stay for dessert. I plan to go back again soon and have recommended 315 to friends for happy hour based on their very impressive menu for same. I want to mention how lovely the ambience is. I felt like I was in a French country house: very cozy and comfortable. A gem in Santa Fe! We enjoyed our dinner at 315 tremendously. The staff was friendly, welcoming, and knowledgeable about the food selection and the wines. We will definitely return! Fantastic food. Excellent chef and waiter. Will definitely return. very good place to eat. Service was excellent. Food was well prepared and very tasty. Nice wine list. I would say if you are in Santa Fe give it a go. Fantastic food, excellent service and nice wine selection. Adorable and welcoming. Great food, wine, and service makes this a place to return to! The Branzino was delicious. Perfectly prepared. How nice to find it is on the menu and not a special. The atmosphere was warm and cozy. Look forward to going back. Next time, we'll get there earlier so my husband can have the oysters which are served during happy hour - until 7:00. We hadn’t been there for about 12 years. Very nice, great food with a French flair. The dining rooms were alittle too dark, but nothing that my phone light couldn’t Handel. Very nice evening— We will be back! 315 Bistro is Iconic. What’s not to love about a bistro kitchen that can extend the NM Restaurant week menu, as well as it’s regular menu and a fabulous 3 course Oyster Dinner all while their kitchen is under extreme renovation. I really enjoyed the Oyster Dinner and the wines Chef Louis picked to compliment them were perfect. A long time favorite. DISSATISFIED: We have been to 315 many times. It has always been spectacular, until Sunday night...My friend and I each ordered different foods from the Restaurant Week menu which looked like a good value. However we each had terrible food and mediocre service for the first time ever at 315. Go for the seafood and bar menu on Restaurant week. Not the pre-fix meals. I had the bouillabaisse, she had the steak, the meals were not good at all, the only thing we finished was dessert, so the food nor the experience, was in any way the value that it appeared to be when we went in! We will never go back on Restaurant Week. Disappointing when it should have been so easy for them to keep their usual high standards of excellence where food is concerned and service is concerned! Food was cold. Service was slow. Restaurant was very noisy, you could hear everyone's conversation. Tried to charge us for a bottle of wine we did not order! This evening was unfortunately our most disappointing experience at 315 in many, many years. Two main courses were so poor they had to be sent back, and the other two were passable but totally unremarkable. To top it off, service was abysmal. 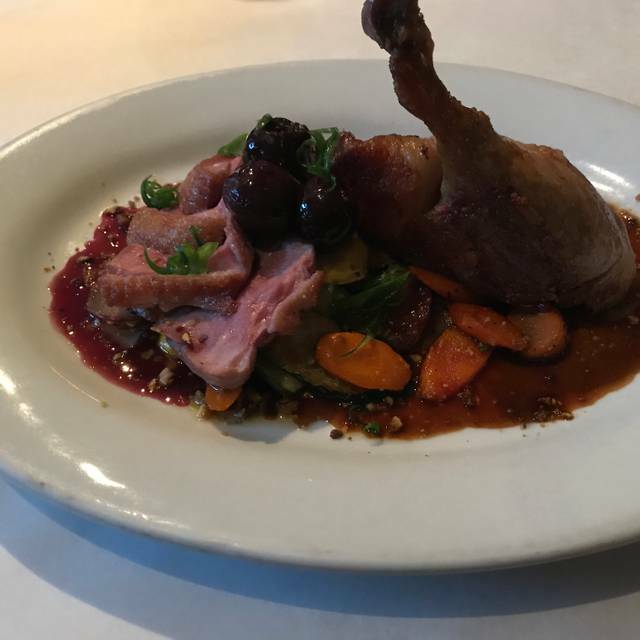 I’ve been a long time fan of this restaurant, and I prevailed upon our group to dine at 315 despite warnings that we were likely to be disappointed. Unfortunately my confidence yield to do apologies. I truly hope that this local institution is not falling from grace. Consistently great food. Love the variety of the menu and the wine selections. Wonderful ambience. Steak was under done. Other than that, pate appetizer was excellent as was the dessert crepe. Every time I come here I am never dissaponted and lookfored to the next time I will be back. Our server was attentive, even though the restaurant was extremely busy. It was nice that the happy hour specials were also available to the table serve area. Next time will try to visit when the legistature is not in session. Excellent food and service. Cathy our waitperson was cordial & efficient. The food, service,and service were outstanding. What wasn’t great was caused by your system, Open Table. You confirmed my reservation online,but never put it through to the restaurant. There were three reservations ahead of me who arrived and had the same experience. What’S up with your company? Talking with other friends traveling to Santa Fe I learned the same thing is happening with your system at other restaurants here. You can’t blame this aggravation,confusion, and disgruntlement among patrons on the restaurants. Shame on you and your company for this unseemly behavior . I can’t trust using OpenTable any more and will spread my discovery and experience to everyone I can. Very rude server. She was snippy. Wouldn’t divide our check. Said their system was from the 80’s. We each had 1 drink so it wasn’t hard to divide. Sent the food back. It was awful. Like frozen store bought food. Talked to some locals later who all said the place has gone down hill. Seemed to be the topic from the locals. They all agreed the servers are the worst and evidentially the owner doesn’t do anything about the bad service. Too bad for us tourists. Really wanted to like the place. We all love good wine. Won’t go back. Went to Geronimo’s which is always good. 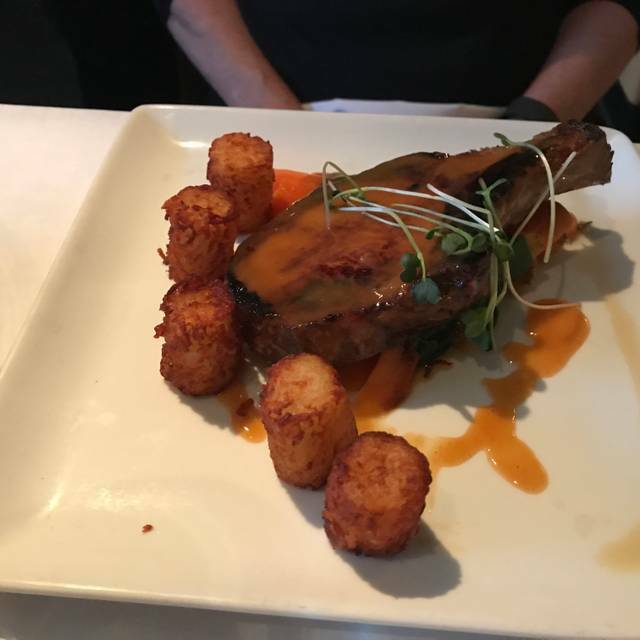 The food was exceptional, the service was exceptional-- Stephany was attentive, but not too attentive, giving us time to enjoy our guests and our dinner. We had a quiet corner, and Stephany turned on the heat in the room for us. The last time we were here a few years ago I thought the food just okay and my recent visit was the same. We went for Restaurant Week. My salad had scant dressing, my bouillabaisse was tepid, my husband's steak overdone and cool. The meal took over two hours for just three courses, the first 30 minutes spent waiting for a bottle of wine. It was restaurant week when those participating receive a choice of prix fixe or regular menu. It’s hectic and busy but the wait staff and team at 315 were in it! Excellent meal, stellar service. The best! Food, wine and cocktails were excellent. Would highly recommend the Brussel sprouts! Mediocre at best. Steak was tough and oysters poor quality. Bouche much better! Didn’t quite live up to our expectations. Food was good but nothing special really. Service was adequate. Above average wine selection and very nice atmosphere. Love this restaurant, amazing wine list and fabulous food!!!! The food was outstanding and the service was excellent. We would definitely include 315 on our dining list on any future visits to Santa Fe.